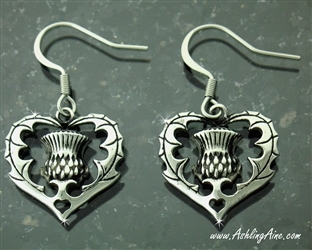 Breathtaking Scottish Thistle Heart Earrings is full of details including a small heart at the bottom of the earring. A striking 3 dimensional Scottish Thistle in the center of the ring is surrounded by the leaves creating a heart shape. 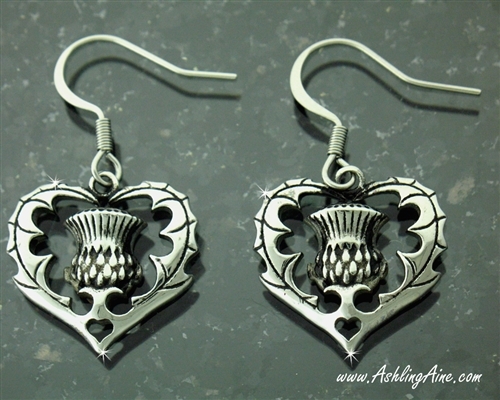 Detailing in the leaves and Thistle are accented with a black antiquing to add to the overall beauty of the earrings. A-Z Alphabet 6mm Omega Flat(flat6mmomega) 316L Stainless Steel Snake Chain (N10) "With God, all things are Possible" HOPE Trinity Necklace.